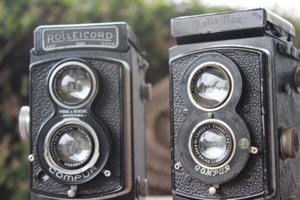 I recently acquired Rolleiflex and Rolleicord cameras. I have to say I am quite excited about it because these cameras are some of the most interesting film cameras to me. I can’t help but wonder where these cameras have been, what they’ve photographed. These cameras have been used to capture moments of history and even today they still serve that purpose. It is kind of interesting to think how these pieces of history have transcended time. I guess history is just like that. That’s why in my opinion it’s important to know things about the past. You never know when they might reappear in your present. Hi, there! I just nominated you for the Beautiful Blogger award! Rules are on my page, if you’re into that thing (ok too if you’re not!). Have a beautiful day!